Tony Blair has admitted for the first time that he ignored the pleas of his aides and ministers to deter President Bush from waging war on Iraq because he believed that America was doing the right thing. And he has acknowledged that he turned down a last-ditch offer from Mr Bush to pull Britain out of the conflict. He has also revealed that he wishes he had published the full reports from the Joint Intelligence Committee (JIC) instead of the infamous September dossier about Saddam Hussein's alleged weapons of mass destruction that so damaged him, and was almost certainly one of the factors that contributed to him leaving office sooner than he wanted. In frank remarks in a BBC documentary, Mr Blair confirmed openly the belief of many of his closest supporters that he never used his position as America's strongest ally to try to force Mr Bush down the diplomatic rather than the military route. It was never a "bargaining chip" for him and he was never looking for a way out, he told David Aaronovitch, of The Times, in interviews for The Blair Years. "It was what I believed in, and I still do believe it," he said. 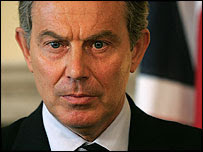 The documentary contains clear evidence that many of those around Mr Blair, including Sir David Manning, his foreign policy adviser, Jeremy Greenstock, Britain's ambassador at the UN, Jack Straw, the Foreign Secretary at the time, and even Colin Powell, the US Secretary of State, had huge reservations about the rush to war. Mr Blair said: "In my view, if it wasn't clear that the whole nature of the way Saddam was dealing with this issue had changed, I was in favour of military action." The programme reveals that the key meeting at which Mr Bush learnt that he had Mr Blair on side took place at Camp David in September 2002 – six months before hostilities began. In return for promising Mr Blair that he would try to help get a second resolution at the UN, he also won Mr Blair's pledge that if he got "stuck" in the UN, war would be the only way out. Mr Blair later suggested that Mr Bush tried for a second resolution as a "favour" to him. The programme also reveals that just before the key Commons vote on war Mr Bush telephoned Mr Blair and offered him a way out. Mr Blair explained why he had declined the offer: "He was always very cognisant of the difficulty I had. He was determined we should not end up with the regime change being in Britain and he was saying to me, 'Look I understand this is very difficult and America can do this militarily on its own and if you want to stick out of it, stick out of it', and I was equally emphatic we should not do that." Let me look at the lessons to be drawn from the 10 years of the Blair administration and our four wars. Iraq was the most difficult, even if not very different theoretically from our other interventions. No one in their right mind would wish to see the blood-letting and chaos that is going on in Iraq today. There is no point in trying to pretend it is all a wonderful success. But equally, I don't think there are many people in Iraq or the rest of the world who want Saddam back. There was, however, a problem with the justification of the invasion - the holding of weapons of mass destruction in breach of UN resolutions. We now know Saddam didn't have them. But to suggest it was all a conspiracy between Tony Blair and George W Bush to pretend he did is nonsense. We believed he had them, as did pretty much every other government in the world, whatever they say now. We didn't kit our troops up in chemical warfare suits in the desert every time a missile was fired just for fun. 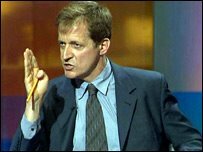 So suggesting it was all a matter of Alastair Campbell cobbling together a dossier to pretend there were weapons of mass destruction is nonsense. 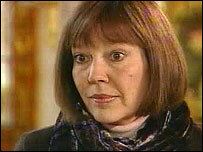 We should have been clear we were removing Saddam because he was a ruthless dictator suppressing his people. But the lawyers said there was no legal basis for proceeding on these grounds, and so we were not able to make this case as wholeheartedly as I would have liked. Next the UN. The argument goes that we should not have intervened without a second United Nations Security Council resolution. But we intervened in Kosovo without such a resolution. The two crucial differences from Afghanistan and Kosovo were that a) we could not get a majority of countries on our side and b) we were not successful on the ground. One of the reasons we argued so hard for a second resolution and tried so hard to get countries such as Mexico and Chile on side was that we believed if things got difficult in Iraq, we would do much better if we had the balance of the international community with us. And it is clearly true that if we had secured that support, we would be in a different place today, with a major UN role in Iraq and majority support around the world. So if success on the ground was one of the big differences with Kosovo, why were we so relatively unsuccessful in Iraq? The biggest failing in my view was not fully to understand the consequences of our intervention. When you remove a brutal dictator who has annihilated all opposition for 30 years, it is inevitable you will face a period of anarchy when he is gone. All the basics of an ordinary society and law and order are not there. And when you superimpose that on a country where the minority, the Sunni, have ruled the majority, the Shia, for centuries, and you are trying to replace that with a majoritarian regime, it takes a long time to shake out the problems. 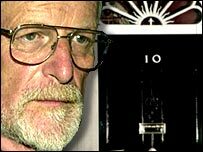 Consider this: several senior doctors write to a newspaper to take issue with the official explanation of how David Kelly died. John Scurr, an expert in vascular surgery, concludes: "Frankly I don't believe that simply cutting an ulnar artery will cause death." The first paramedics to attend Kelly's body on a wooded hillside near his Oxfordshire home note that the small amount of blood does not seem consistent with fatal bleeding. There's more. The pathologist who pronounced the cause of death later has a change of heart. Then it emerges that police found no fingerprints on the knife that Kelly supposedly used to kill himself or on the water bottle lying next to the body. And why did Operation Mason, the police investigation into his death, start nine hours before Kelly was even reported missing? If this were the start of a detective novel the reader would quickly suspect foul play. As a weapons scientist, Kelly had access to sensitive information. Among his more intriguing discoveries was Saddam Hussein's dirty bomb. While working in Iraq in 1995, Kelly found the site where the bomb had been tested eight years previously. The radiological weapon had spread contaminated dust across the desert. Yet this seemingly crucial information was never included in the government's weapons dossier. Why not? After all, at the time Downing Street was trying to ramp up the case for going to war and the fact that the tyrant had a radiation weapon was surely its strongest card? Unless...Britain helped Saddam develop the bomb back in the 1980s when ministers were selling weapons to Iraq in breach of sanctions. It's certainly an interesting theory. Enter Norman Baker, a Lib Dem MP who has already proved his sleuthing abilities. His probing led to Peter Mandelson’s resignation over the Hinduja affair. He brought to light MPs' profligate expenses. Campaigning on everything from animal vivisection to persecution in Tibet, he has probably done more than any other MP in recent years to expose abuses of power. Along the way he has made enemies who would like to see him dismissed as a madman or a fantasist. He is neither. 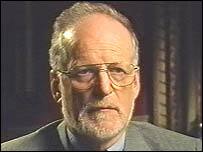 In The Strange Death of David Kelly, Baker is a latterday Sherlock Holmes, examining all the evidence and uncovering omissions and inconsistencies that cast doubt on the conclusions of the £1.7m Hutton inquiry. 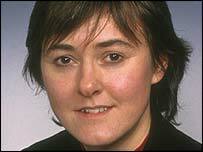 Nearly a quarter of 1,000 British adults questioned for a recent BBC poll said they thought Kelly had not killed himself. More were unsure. So Baker has hit on a case ripe for investigation. Frustratingly, though, he has not solved it. Instead, sifting through testimony from parliamentary inquiries, which he combines with his own research, Baker exposes – more thoroughly than ever before – a government so determined to build a case for going to war that it either lied or was unable to distinguish truth from fiction. It had to cross a legal threshold of proof before our own armed forces would agree to fight. Hence Downing Street summoned up "intelligence" that was little more than hearsay or downright bogus. The now-infamous 45-minute warning of a chemical attack came from a dubious single source. The claim that Saddam was shopping for yellowcake uranium in Niger was based on forged documents. Saddam's mobile smallpox laboratories turned out to be trailers for filling hydrogen balloons, part of an artillery system sold by Britain to Iraq in 1987. Remarkably, as Baker reminds us, the protagonists are still in office. 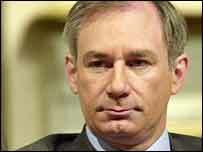 John Scarlett, the chairman of the Joint Intelligence Committee, has been promoted to chief of MI6; Geoff Hoon is now chief whip; Jack Straw, the justice secretary and lord chancellor; and, perhaps most gallingly, Tony Blair is now a peace envoy. Meanwhile, the Hutton inquiry skewered men who were largely innocent. Greg Dyke, Gavyn Davies and Andrew Gilligan left the BBC. All this is flawlessly argued by Baker. A shame then, that his conclusion about Kelly's fate strains credibility. To kill without a trace is difficult, as Baker acknowledges. Therefore, he hints at an Establishment cover-up involving Thames Valley Police which carried out the official investigation into Kelly's death. It is hard to conceive of crime-scene officers and detectives committing a crime themselves by colluding with senior police and members of the intelligence services, not to mention the coroner and his staff. Even if it were true, would not one honest soul have blown the whistle, or sold their story? Baker rightly identifies holes in the suicide verdict. He finds no shortage of people who knew Kelly to say he was not the suicidal type. As one of them, I agree; he was almost always jovial and composed. 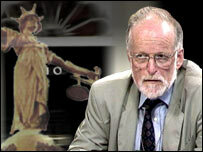 But in suggesting that Kelly died at the hands of a shadowy Iraqi group whose crime was "subsequently covered up by the government", or that "a tiny cabal within the British Establishment commissioned assassins to undertake [Kelly's murder]", Baker is offering an even shakier explanation than suicide. The most likely sequence of events is one Baker himself admits is "plausible". 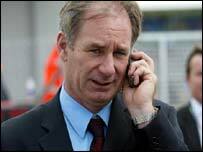 On the morning of July 17, Kelly received a number of calls from the Ministry of Defence that unsettled him. At his initial interview with his MoD bosses 10 days previously, he had been told no action would be taken against him over his contact with journalists, but that might change if further information came to light. Since then, Kelly had given evidence in public to the Foreign Affairs Committee, trying to balance honesty with an attempt not to incriminate himself. "It was a juggling act that proved too difficult," observes Baker. During the hearing, a committee member read part of a transcript of an interview Kelly had given to Susan Watts, a BBC Newsnight journalist. Kelly did not know at that stage that the conversation had been taped. He denied saying the words and, in doing so, misled a parliamentary committee. Kelly was asked again about his contact with Watts in the July 17 calls from the MoD. Baker describes the following scenario: "Kelly, having thought the worst was over, suddenly realised that his careful attempt to pick his way through the minefield had blown up in his face. He realised that the game was up. Moreover, he would be exposed as having been less than truthful, something that went strongly against his personal ethic." Baker concludes: "This is certainly a plausible explanation for suicide, if that is what it was. Indeed it is the most plausible." As a reader you're forced to agree and then wonder, why look for a more complicated explanation? There are still unanswered questions, of course. Thames Valley Police has yet to explain the absence of fingerprints, though it has commented on why Operation Mason started nine hours before Kelly was reported missing. It says the start time of the operation was fixed retrospectively to reflect the period of interest. The pathologist did change his view as to the precise cause of Kelly's death, but his revised conclusion didn't persuade him or the coroner that foul play was involved. The medical experts who wrote to a newspaper questioning the official cause of death have been countered by others who say that blood loss, exacerbated by an undiagnosed heart condition and combined with an overdose of painkillers, would have been sufficient to kill Kelly. As to why the government didn't declare Saddam's dirty bomb in its Iraq dossier, well, that's a question the government has yet to answer. When Baker tabled a Commons question he was stonewalled with a written reply from John Reid, then defence secretary. Reid confirmed that the government was indeed aware that Iraq "carried out tests on a radiological device (dirty bomb)", but gave no further comment. At least half the readers of this book will suspect Kelly was murdered; for them, Baker provides plenty of support. For those who share my scepticism, however, it's still an important work. You don't need to be a conspiracy theorist to conclude that something murky was going on behind closed doors in Whitehall. 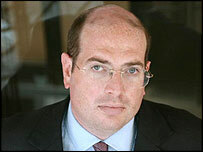 Hutton's remit was too narrow ever to get to the bottom of it. As an exploration of what happens when politicians bend the evidence to fit their aims, hoping that the end will justify the means, Baker's book is hard to beat. 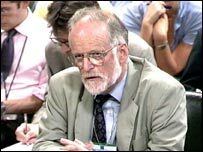 The head of MI6 at the time of the invasion of Iraq said last night that the government placed too much weight on intelligence claims to help persuade opponents in parliament to support the war. Sir Richard Dearlove said Iraq demonstrated the dangers when "policy was built round intelligence and little else or when it was used for the primary justification for government action". Policy was "over-dependent on intelligence particularly when it was presented to parliament", he said. There was a fear that what he called "other factors" might otherwise "carry the day with political opponents of the war". The episode had "highly undesirable consequences for the intelligence community". Sir Richard also admitted that claims by neo-con elements in the Bush administration that there were links between al-Qaida and Saddam Hussein were not true. "You know as well as I know there was no connection between 9/11 and Iraq," he said. Though Sir Richard's admissions reflect those made by others since the invasion of Iraq, and notably in Lord Butler's report on the use of intelligence, it is the first time he has commented publicly on the affair. He was speaking at the London School of Economics on the subject of Intelligence and the Media at a meeting sponsored by the Polis thinktank. 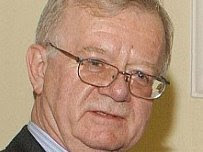 Sir Richard, who retired in 2004 and rarely speaks in public, said "intelligence was expected to carry too much weight" in the formulation of policy. He described the way intelligence was used in the build-up to the war, particularly in the use the government made of its discredited Iraqi weapons dossier, as "sui generis" and "most unlikely to happen again". However, he warned that governments might feel the need to publish intelligence to buttress support for any action against Iran. In the hypothesis of a pre-emptive attack on Iran, he suggested, there would have to be "proof positive" that "the right targets" were hit. 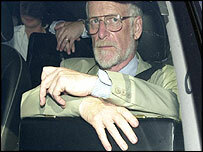 Sir Richard insisted that MI6 did not "set out to misinform" the government or the public over Iraq. He said: "The intelligence that was released was believed to be correct at the time it was released". He acknowledged that over Iraq the relationship between the intelligence agencies and the media "suffered greatly" because trust was compromised. The fundamental causes of this was "not under the control of either party", he said. 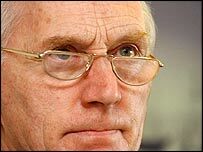 Leaked minutes of a meeting on Iraq chaired by Tony Blair in Downing Street on July 23 2002 reveal that Sir Richard , reporting on his talks in Washington, warned that "the intelligence and facts were being fixed around the policy". Sir Richard is reported to have since downplayed the significance of the comment. With Sir Richard Dearlove's comments on the build-up to the invasion of Iraq, intelligence has been put back in its rightful place. "Intelligence is a very imprecise art as a matter of fact," a senior Foreign Office diplomat told the Scott inquiry into how we were selling arms and chemicals to Iraq at the time Saddam was Britain and America's friend. 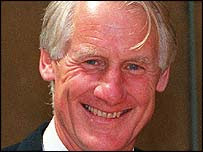 Many intelligence reports, Lord Howe, Thatcher's foreign secretary, told the inquiry were not even straws in the wind. "They were cornflakes in the wind," he said. This has not stopped ministers using intelligence as a vital tool in pursuit of their political and personal objectives. No prime minister has used it so audaciously and dishonestly, and with such catastrophic consequences, as Tony Blair in the build-up to the invasion of Iraq. 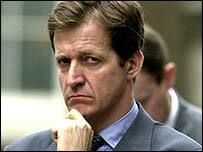 Now the head of MI6 at the time has admitted, for the first time in public, that intelligence was abused. "Too much weight" was put on intelligence claims about Saddam's weapons programme, Sir Richard Dearlove told a meeting at the London School of Economics on Wednesday night. Intelligence, he said, was used to justify "government action" - ie joining the US in the invasion. The government was concerned, admitted Dearlove, that if it did use intelligence this way, it might not "carry the day" in parliament against opponents of the war. As for the intelligence being so wrong, Dearlove had excuses. One of the reasons why it was what he called "so confusing" was because of the confusion among the Iraqis themselves. "There were probably no human sources in Iraq that could say authoritatively they did not have WMD," he said. A few hours before Dearlove addressed an increasingly boisterous audience, the law lords were making yet another ruling on the government's continuing attempts to detain people without trial. A "fundamental duty of procedural fairness" required a suspect to know the key evidence against him or her, so that it could be challenged, said Lord Bingham. A normal defence case "may be impossible" if a defendant did not know the evidence against him or her. Lord Brown went further. "I cannot accept that a suspect's entitlement to an essentially fair hearing is merely a qualified right capable of being outweighed by the public interest in protecting the state against terrorism," he said. He added: "On the contrary, it seems to me not merely an absolute right but one of altogether too great importance to be sacrificed on the altar of terrorism control." Suspects are prevented from knowing the case against them because it is based on "secret intelligence", the disclosure of which could endanger those responsible for protecting our national security. Dearlove has at last put these claims into perspective, and the law lords have at last confronted the government with a matter of principle. Intelligence, the last refuge of the torturer as well as a convenient weapon, has been put in its place again - for the moment. I don't remember anyone questioning the intelligence in the run-up to the Iraq war. With hindsight we could have done with a heavy dose of scepticism. 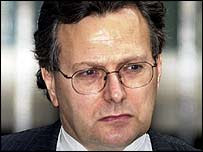 Sir Richard Dearlove, the former head of MI6, is obviously right that too much weight was put on intelligence in the lead-up to the Iraq war. I wish he'd said so at the time. I wonder what would have happened if "C" had said frankly to the prime minister: "Look, I'm sorry, but the intelligence we have just won't bear the weight that you want to place on it. This dossier is a thoroughly bad idea. 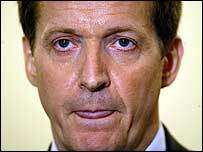 I know you and Alastair Campbell are publicly committed to it, but sometimes it's best to back down gracefully rather than make a mistake you will always regret." Perhaps Sir Richard was making that kind of argument at some level way above my pay grade, as a mere press secretary at the Foreign Office at the time. I'd be surprised if he did, because never in all the meetings and conversations I had about Iraq did I detect the slightest whiff of doubt from Sir Richard. Instead, I found myself in meetings - catalogued by the Hutton report - at which the one question nobody ever asked was: are we sure Saddam's got this stuff? The great lesson for me, with the benefit of hindsight, is not about the use of intelligence, but about the value of doubt. Nobody ever said: what if there are no WMD? Doubt is greatly undervalued in government. It remains seriously undervalued in the White House, to judge from what President Bush and Vice-President Cheney have had to say about Iran lately. I don't suppose it would have made any difference actually, had we sat around in London having doubts five years ago. Looking back, I now feel I had a bit part in a tragic drama whose ending had been scripted in Washington long before people at my level got involved. Bob Woodward's account in State of Denial is a depressing read, because it makes chillingly clear that the Bush administration had made its mind up very early. All those efforts we made at the United Nations through that winter feel a bit naive now. I really thought there was a way of avoiding war, by working through the UN. It's very frustrating, as a minor participant, to have learned afterwards that that the head of MI6 felt the intelligence was being made to fit around the policy. I took the intelligence seriously. Nobody ever cast doubt on it in my presence at the time. And those last three words are crucial - at the time. Hindsight is a luxury government doesn't have. So here we are again, going forwards into a possible conflict, without the benefit of hindsight, this time with Iran. And it's important that we learn the lessons from Iraq. Sir Richard must be right that intelligence is unlikely to be used in the same way. 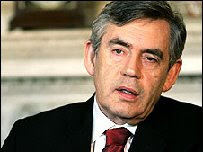 Can you imagine any advisor daring to use the word "dossier" to Gordon Brown? The dossier was a mistake. I say that not with hindsight, but having argued unsuccessfully at the time that Britain should not take on the burden of proving that a country to which we had no access was in possession of illegal weapons. It should have been for Saddam Hussein to prove that he didn't have them. Now, it must remain Iran's duty to show that it is not trying to master the technology necessary to produce a nuclear weapon, not President Bush's to assert that it is. The legacy of the dossier is surely that the public will never again accept a case for conflict that is based on intelligence. That may turn out to be disastrous, if one day the intelligence is sound and the threat genuine. But if it means government has to proceed with a greater degree of doubt that in 2002-3, then that's a good thing. Would bombing Iran would be better than the continued frustration of unheroically trying to negotiate? I doubt it. Images Copyright BBC, PA and .GOV. All material on this site - 'Fair Use' claimed under Title 17 U.S.C. section 107. All transcripts (Hansard, Hutton, Butler etc) reproduced on this site are acknowledged to be subject to Crown Copyright. Other third party users are legally bound to note likewise.